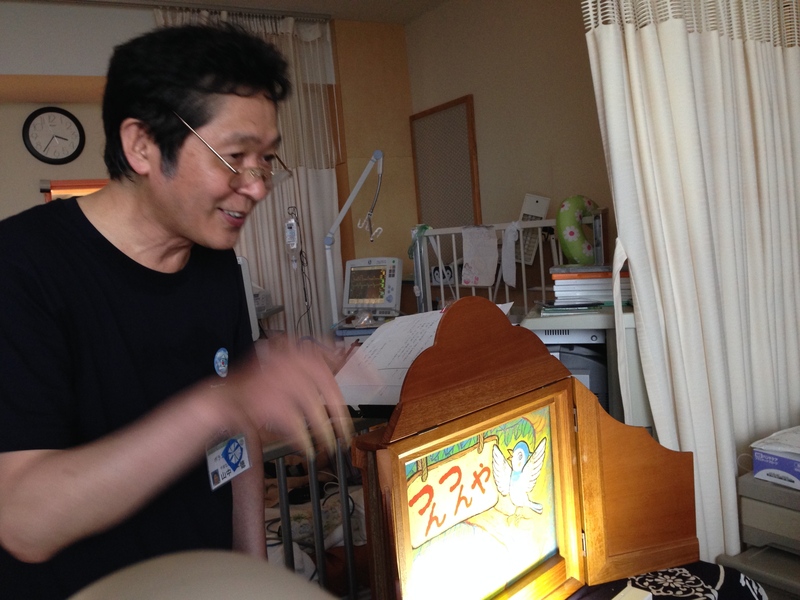 Ittoku-san read several popular stories with Kamishibai, illustrated picture cards. 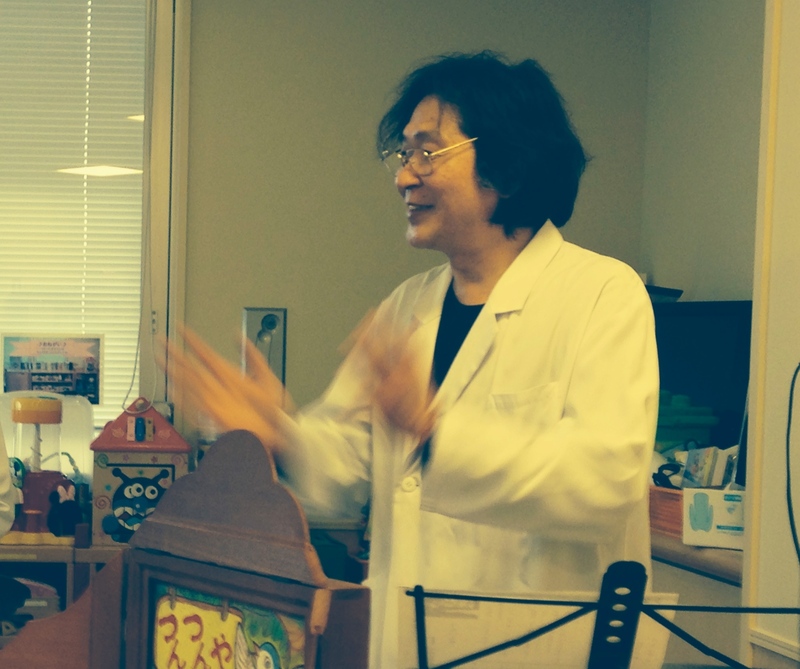 Children joined the stories and enjoy the conversation with Ittoku-san. “Magic power!” Every child is always a magician. When they cast a spell using their hands to resemble magic wands, something in their rooms dissapears and turns up. 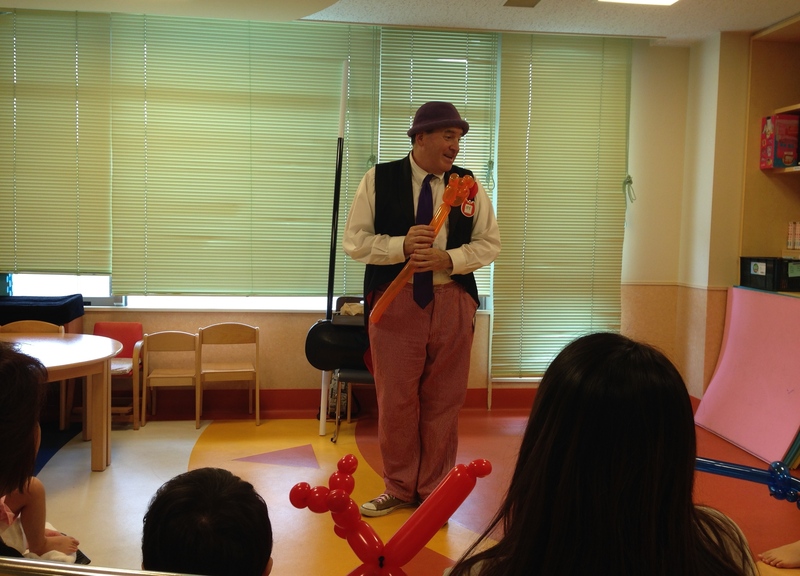 Everyone got a balloon of animal, flower, airplane…Guy-san never uses the pump, which always makes kids astonished. Comdian Cloudy sent lots of smiles to every single private room. 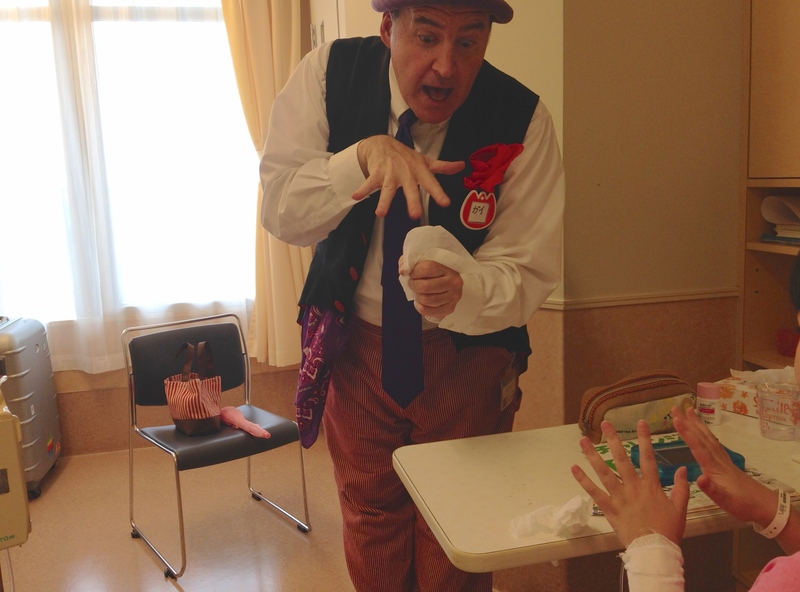 In the playroom, his comedy show brought explosive laughter. 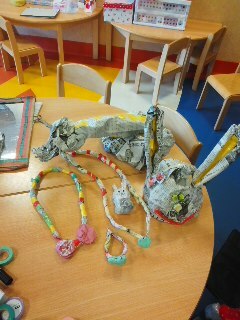 Not only funny but warm hearted talk to each child made them at ease. 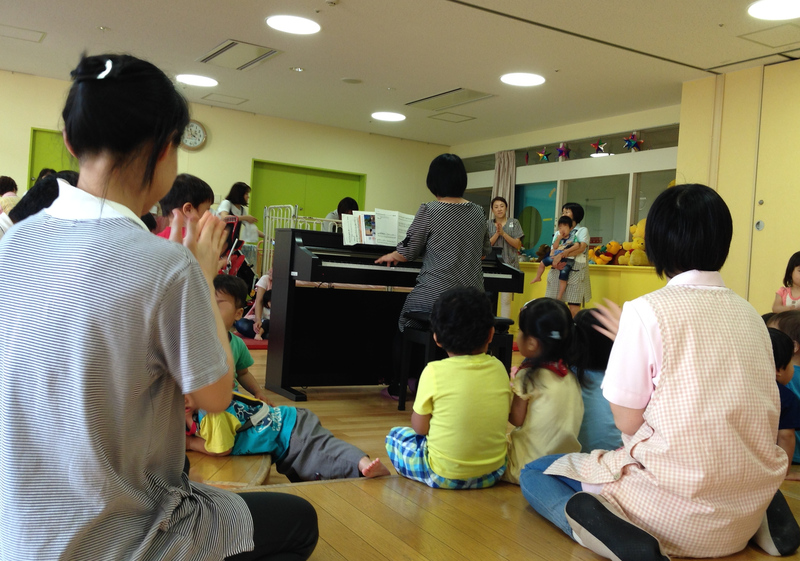 Kids in the clean room sang lots of songs together along the piano. Some liked the song of “Frozen” which is the most popular song these days, some danced to the music. 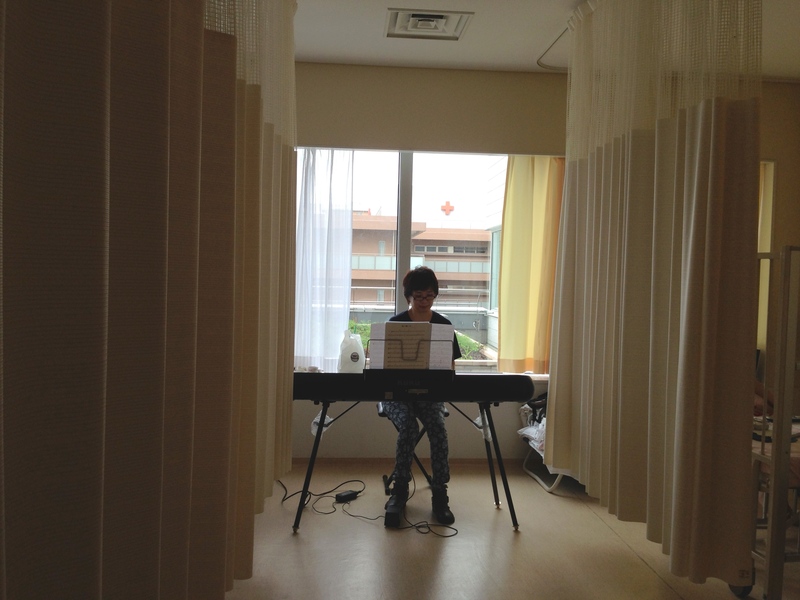 In a private room, a small boy touched the piano for the first time, which awake him to play music. His mother promised him to buy a portable piano! 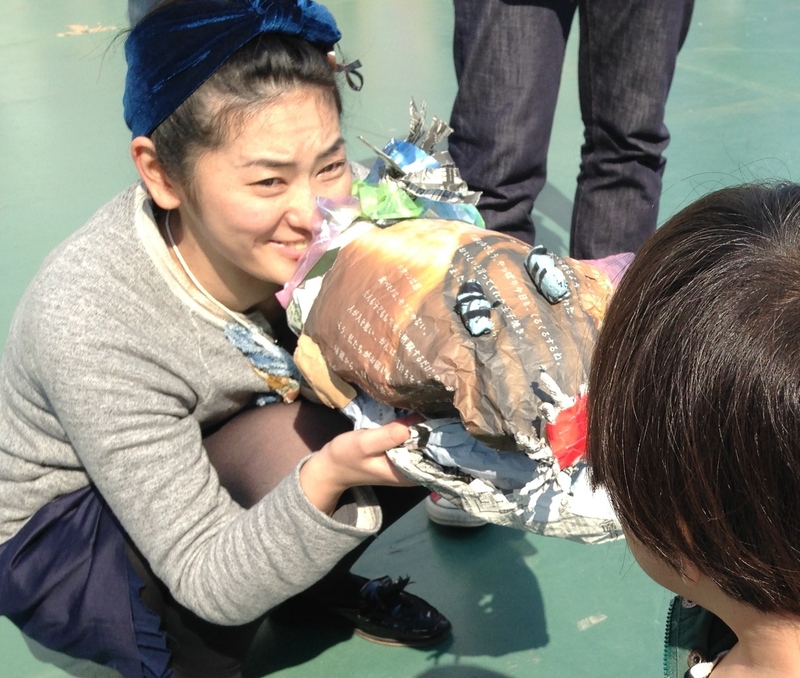 Children enjoys making anything such as animals, fancy accesories as well as monster masks with scrap materials like newspapers, etc. Craft making with scrap materials is so easy we can enjoy wherever we are. 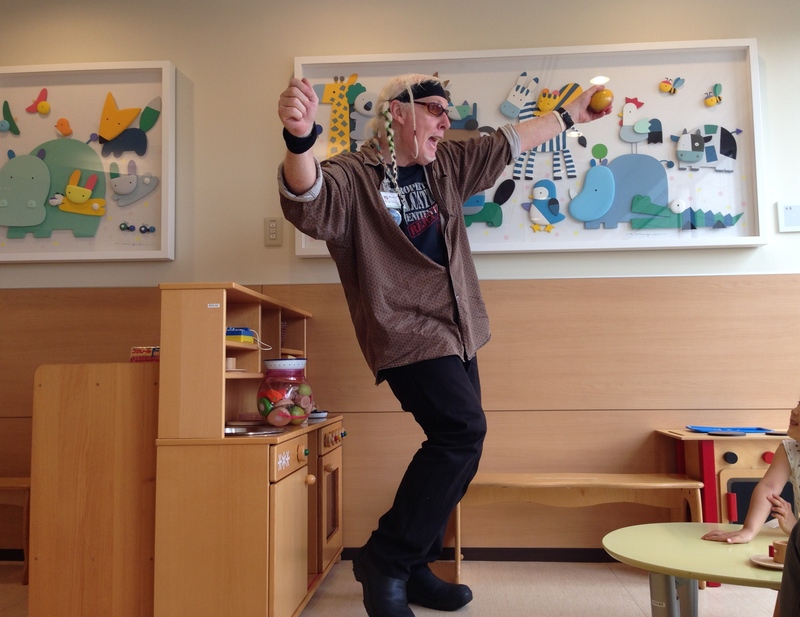 Kids can do this after discharged. Mari-san played all the kids’ requests. “Frozen” was still the most popular at the pediatrics ward. 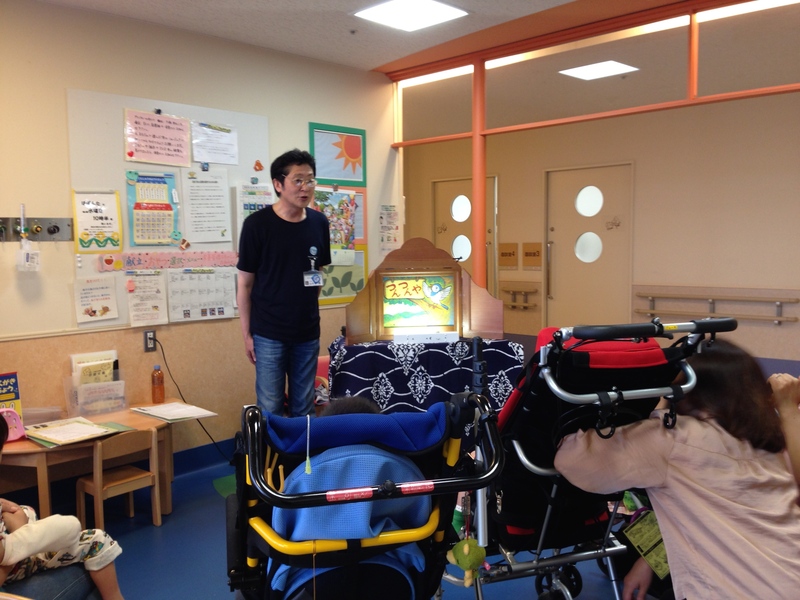 At the infant home, around 40 kids and nurses enjoyed feeling the rythum of their request songs such as “My neighbor Totoro””Ai Ai” etc. They enjyoed walking taking hand in hand and following the rythum with moving their bodies. Even those in carts or strechers were trying to extend arms forwad and bend kees along the rythum. In the end, kids said good-by touching Mari-san’s hand one by one. Drum circle activity in the playroom and each private room. Lots of percussion instrument such as djembe, tone chime, handbell, rain sticks, tree chime ..etc. 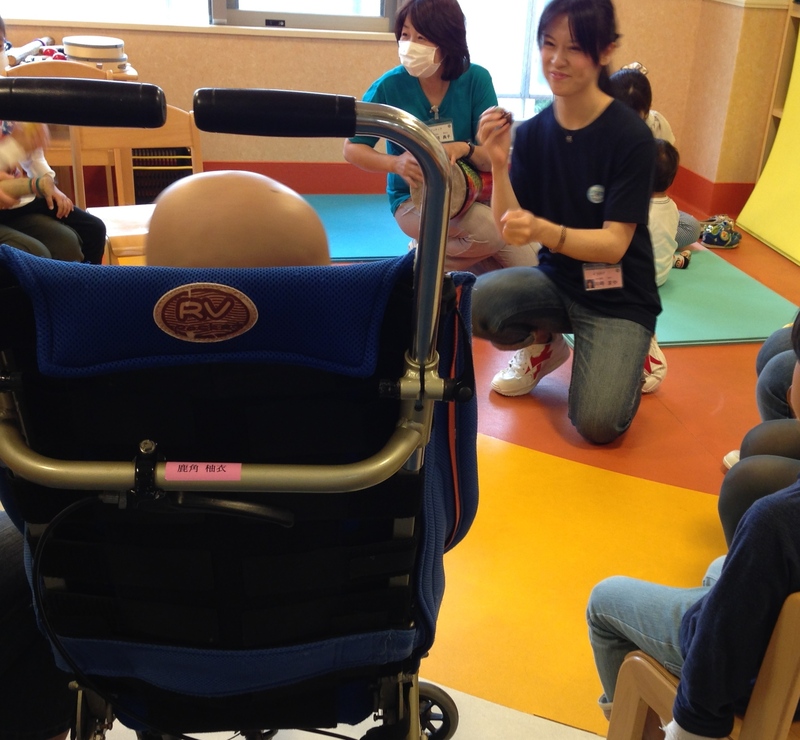 were brought to the children in the ward. “Twinkle Twinkle Little Star” was played with the tone chime by 3 girls and their mothers in a private room putting the sound of tree chime “twinkle, twinkle, twinkle…” into its end. 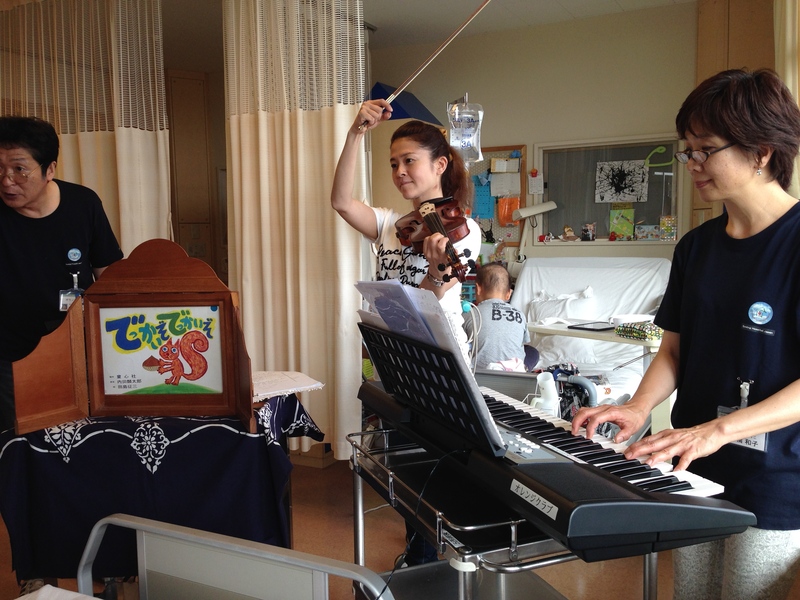 Standard jazz Ballads medlay by Kazuko makes the whole ward relaxing and comfortable. It goes well with even napping time. Wishing the children quick recover, she sang “When You Wish Upon a Star” in every room. Reader’s Theatre is one of the most popular activity, which involves all the audience. 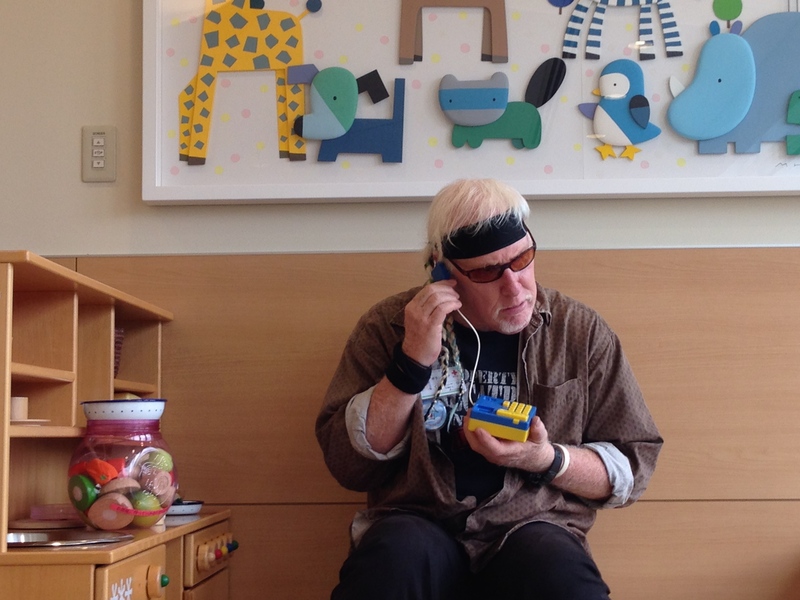 The playroom and each private room become full of children and mothers’ laughter. 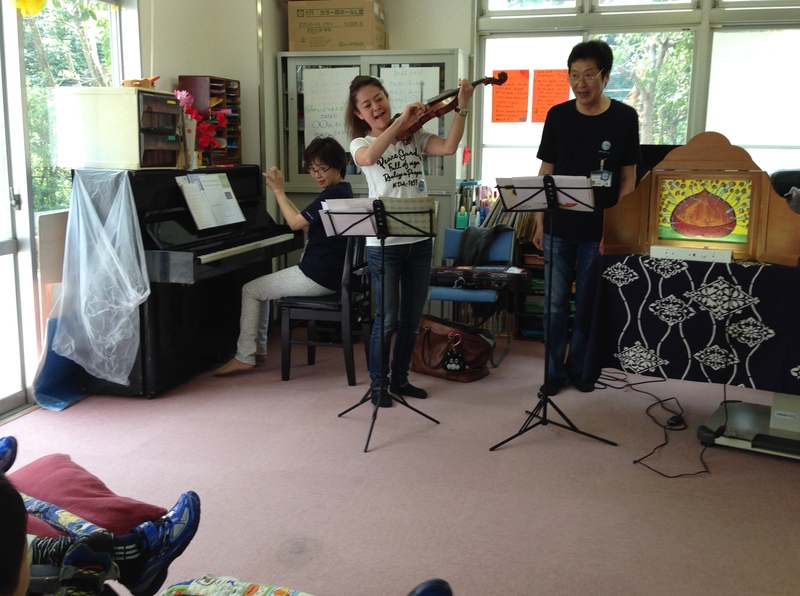 Readers’ theatre by a vocal actor, a falk jazz singer and a violinist in the institute for physically handicapped children in the morning and in the internal ward in the afternooon. Wonderful session of the flute player, the pianist and the violinist, too. 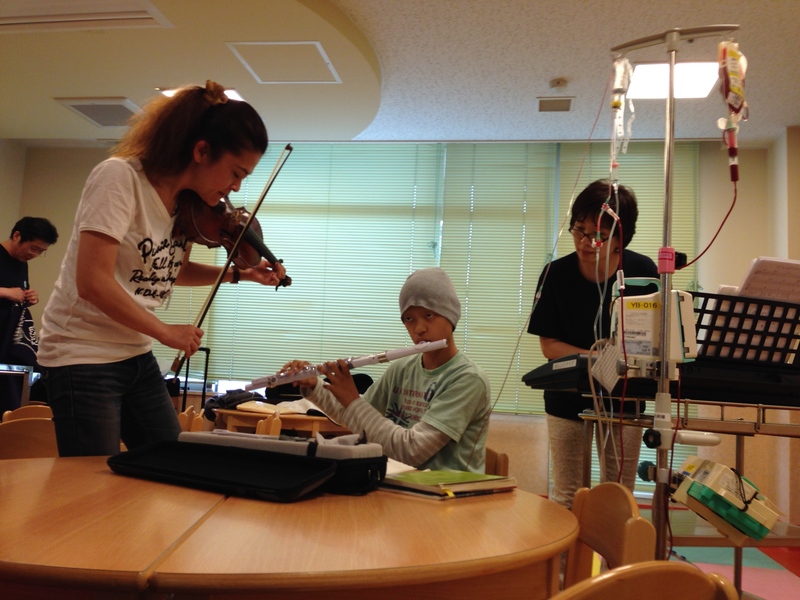 The boy patient’s flute performance gave glory to the last moment of our visit.